Robert Smith has gained a BSc in Sports Medicine at the University of Teesside and is a member of the Society of Sports Therapists. 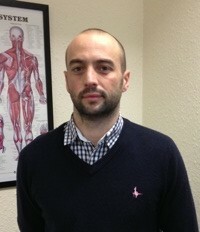 Having previously held roles within sports injury teams at Middlesbrough Football Club, Derbyshire County Cricket Club and currently holding a seasonal contract within Leicester City FC Youth Academy, this has allowed him to work closely with elite athletes and combine his love of sport and his work. Having worked within private practice for over seven years he has been able to treat a wide range of sportspeople from many different disciplines. 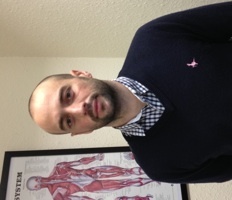 As a result of his diverse clinical experience, Robert has become proficient in many treatment modalities such as soft tissue manipulation, spinal and joint mobilisations, cryotherapy and electrotherapy to effectively treat general musculoskeletal conditions. Robert has also over the past three years been utilising Acupuncture as a mode of treatment for athletes through to the general public. Robert is also a keen sportsmen who enjoys running, football and cycling, thus understanding the demands of physical exertion on the body and the importance of injury prevention.